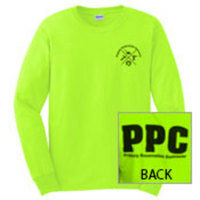 These Safety Green PPC Shirts let concerned neighbors know who you are and why you're there: to maintain, secure, and preserve the property. 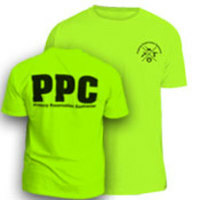 The PPC and Property Preservation Contractor logos are on the front and back to help others understand that you're part of a professional industry. 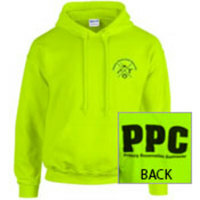 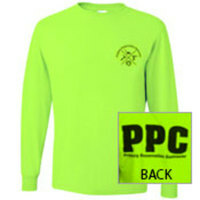 Be safe and and be seen in our PPC Safety Green Shirts.